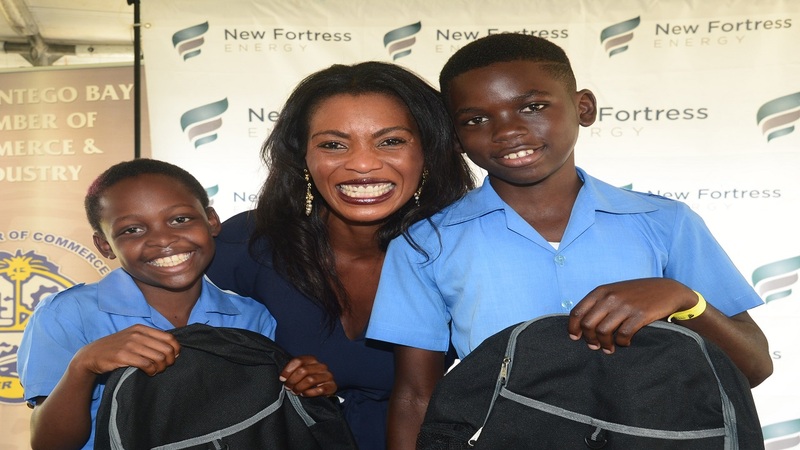 Verona Carter, Vice President, Public Affairs for New Fortress Energy takes a photo with Omario Rowe and Gerry Graham after presenting them with backpacks and vouchers during the company’s Back to School Fair last Friday at Pier One. 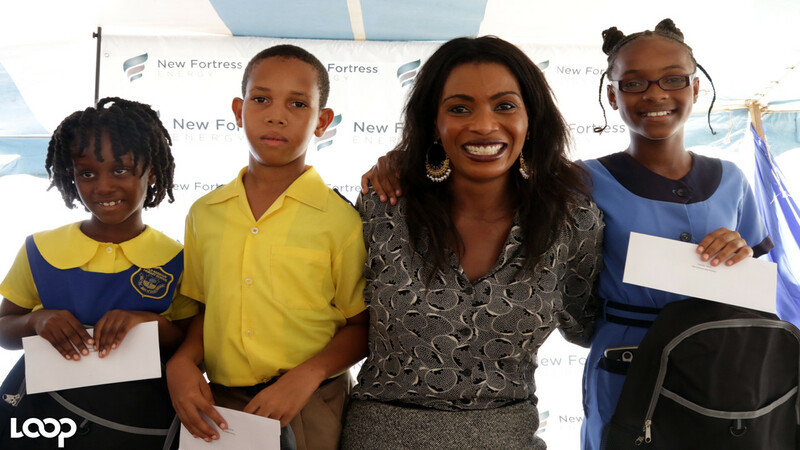 New Fortress Energy, a global leader in energy solutions, culminated its third and final back-to-school fair for the year in Montego Bay. 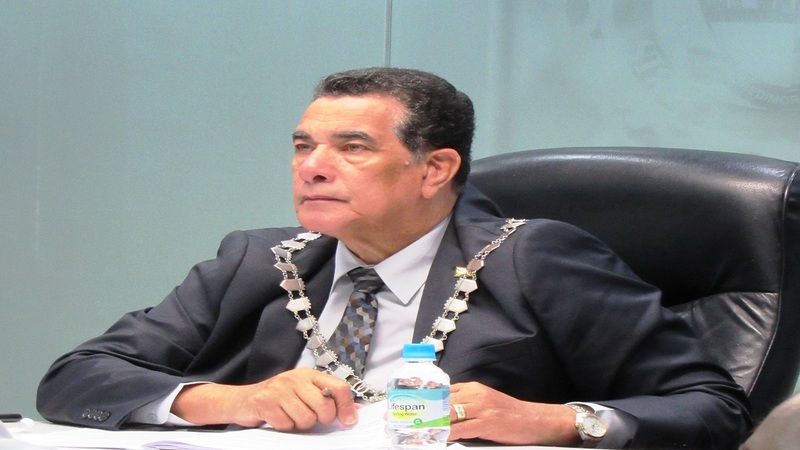 Held in partnership with the Montego Bay Chamber of Commerce and Industry (MBCCI) at Pier One, the Fair saw approximately 300 turning out from 10 infant and primary schools across the second city to be awarded and celebrated for their hard work. The schools included Albion Primary, Chetwood Memorial Primary, Farm Primary, Granville Primary, Irwin Primary, Lottery Primary, Montego Bay Infant, Mt. Salem Primary, Salt Spring Primary and Sunderland Primary and schools. 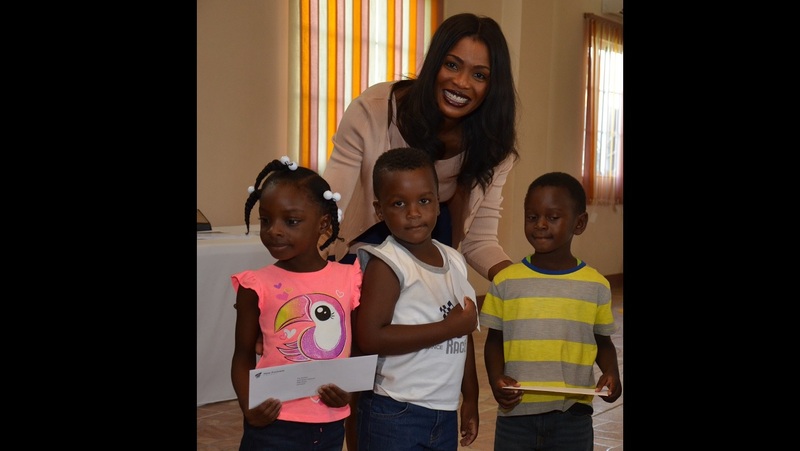 Dr Michelle Pinnock, Regional Director for the Ministry of Education urged parents not to look at this as a handout, but rather as testament that with hard work comes great reward. “Boys and girls, you are all here today because you’ve done well, and we are so very proud of you. Keep being a beacon because we’re looking to you to secure a bright future for Jamaica. It’s also very encouraging to see so many parents today, and so I want to use this opportunity to commend you for the great job you’re doing. Keep supporting your children and pushing them beyond their comfort zones because that’s how they’re going to be successful in life,” Pinnock said. 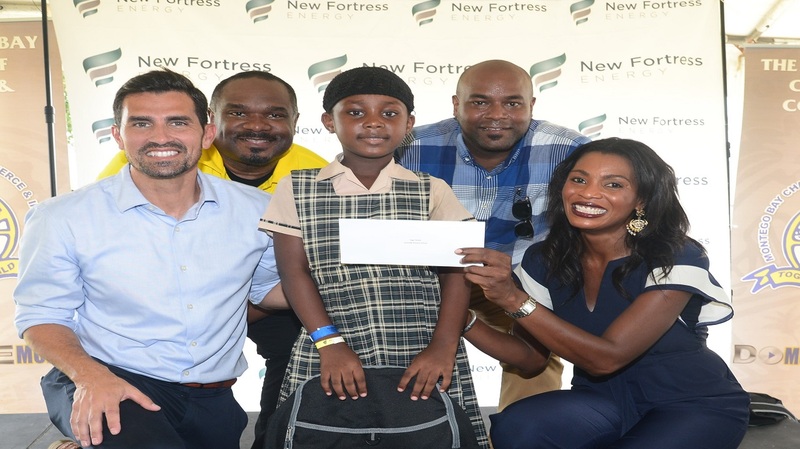 Sage Clarke from Granville Primary School was all smiles after accepting her education grant and backpack from New Fortress Energy during its Back to School Fair at Pier One in Montego Bay last Friday. Also in the photo are (L-R): Filipe Pinto, Business Development Manager with New Fortress Energy, Winston Lawson, President of MBCCI, Verona Carter, Vice President, Public Affairs for New Fortress Energy and Dwight Crawford, Councillor for the West Central St. James division. In addition to being awarded with vouchers of $6,000 and $8,000 to be used at Maxie Department Store and Henderson’s Bookstore respectively, the students also received backpacks, haircuts and medical screenings, while enjoying the many treats prepared for them including a magic show, rock climbing, merry-go-round and bounce-a-bout among others. New Fortress Energy, global leader in energy solutions, first started Jamaica’s transition to natural gas with its state-of-the-art liquefied natural gas (LNG) terminal in Montego Bay that converted the JPS 120-megawatt Bogue power plant from diesel to natural gas and provides LNG to local partners such as Red Stripe, University of the West Indies, Mona and IGL.